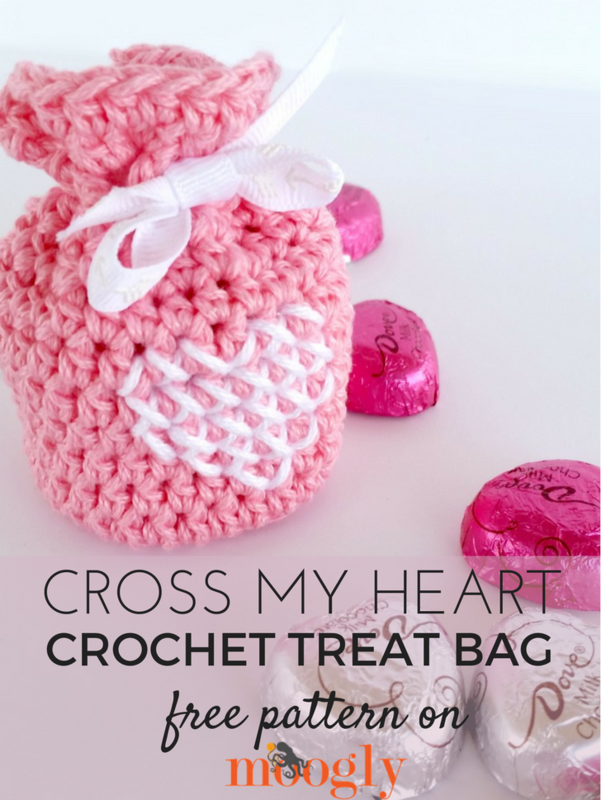 I love giving little Valentine’s Day treats to friends and family, and the Cross My Heart Treat Bag is fun and fast enough I can make a whole bunch! I hope they help you spread the love too! The Cross My Heart Treat Bag is made with simple crochet stitches, easy enough for anyone who’s ready to work in the round. And the heart is added cross-stitch style, easy peasy! So you can add any image to your bag you like – like a pumpkin or ghost for Halloween! 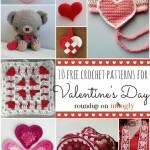 There are lots of easy small cross-stitch patterns online for inspiration! 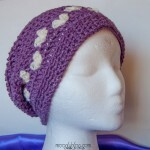 NOTE: This pattern is worked in a spiral, with no join at the end of each round. Use a stitch marker to mark the first stitch of each round to help you keep your place. Assembly: Thread ribbon through ch-1 sps of Round 15. Alternately, use Color B to make a 9″ long chain to use in place of the ribbon. 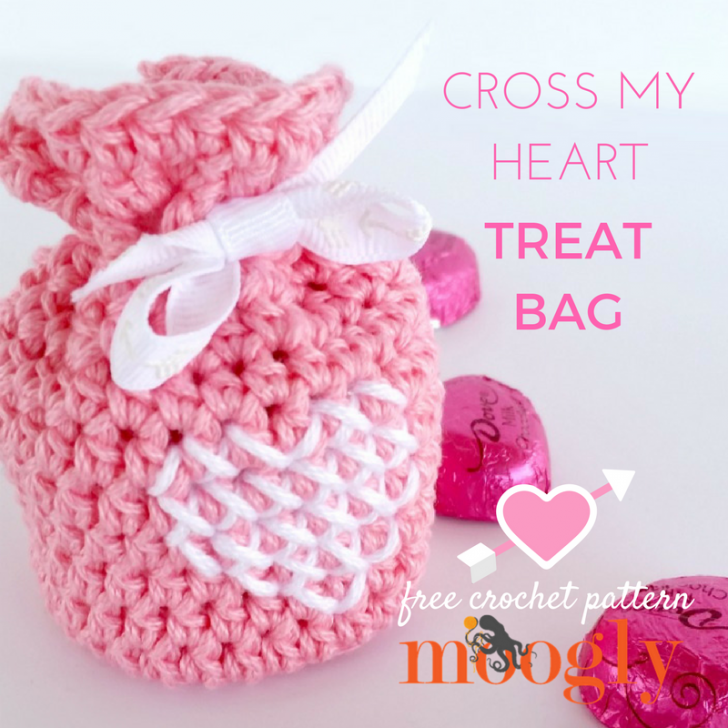 And that’s the free crochet pattern for the Cross My Heart Treat Bag! I hope you enjoy making it – for lots of holidays to come! And for your planning purposes – each one holds up to 6 of the pictured candies! 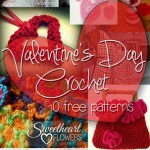 Sweet on Crochet: 10 More Free Valentine Patterns! These will be perfect for my daughter’s teachers. Hopefully I can make enough in time for Valentine’s day! 😀 I’m glad you like them, thank you! Is there not another way to reach you for questions re: patterns–could not find a return or email address? 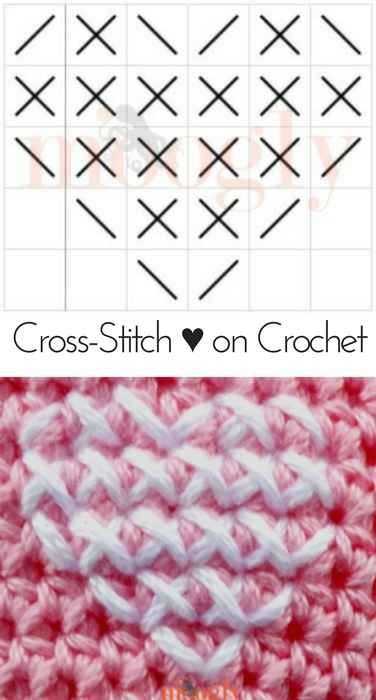 This means you crochet 1 sc in the first st, 2 sc in the next st, 1 sc in the next st, 2 sc in the next st, etc on around. So when you look at the 12 sts in Rnd 2, you’ll work increases in every other stitch – 6 total, for 6 additional stitches, and a total of 18. Does that make sense? 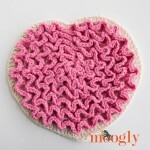 What an amazing crochet heart idea! 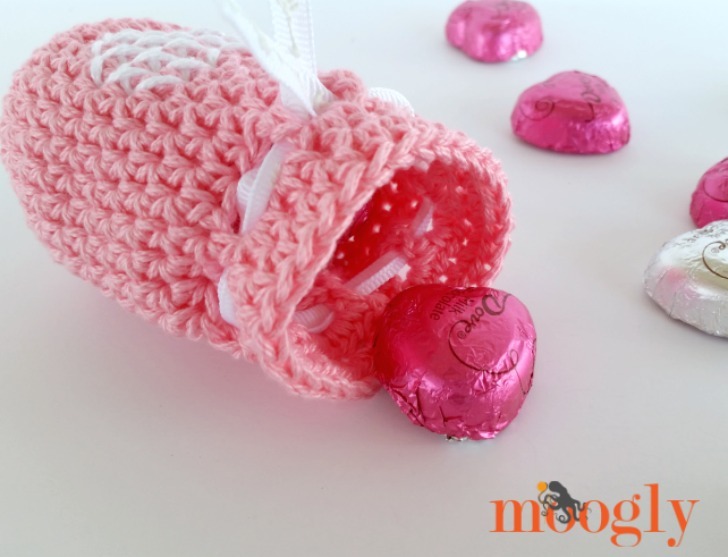 I’d like to include one of these pictures in a Round-Up of Crochet Projects for Valentine’s Day that I’m going to publish soon in my blog. Of course, I will attach the appropriate link to your blog.